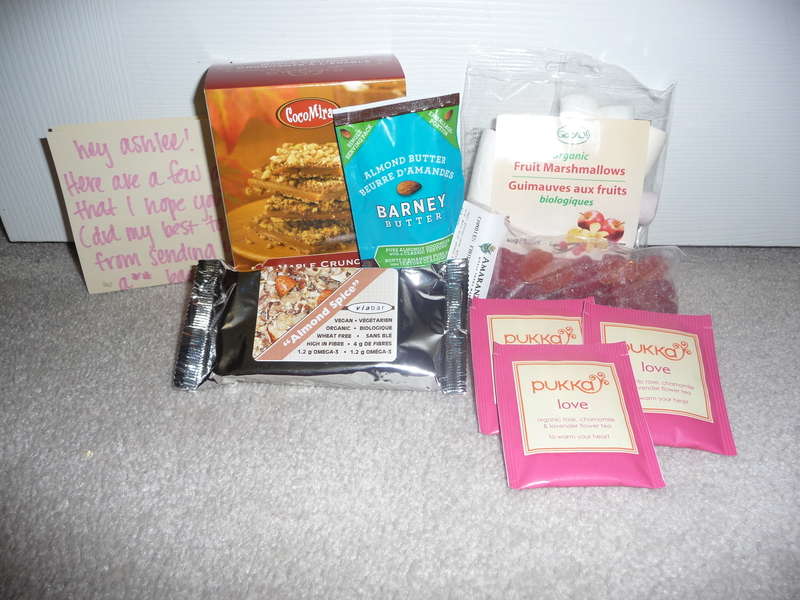 October Foodie Pen Pal Reveal Day! Merry Christmas, y’all (gotta keep it interesting, you know, separate myself from all the other bloggers telling you it’s Halloween or some silly thing like that). This month, I was paired up with Nicole who sent me an awesome box. 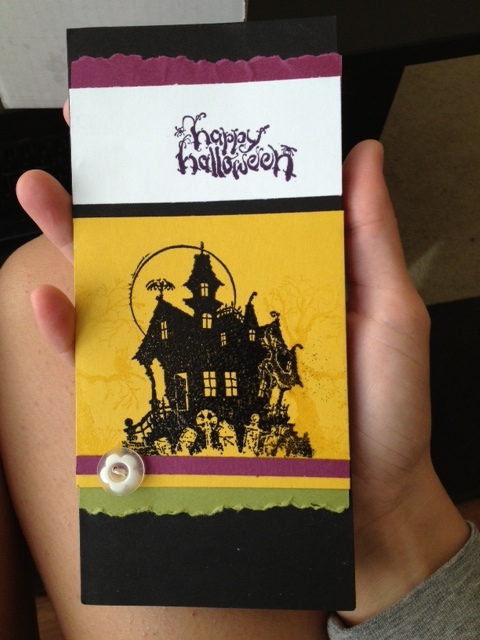 It seriously is like Christmas when I get packages in the mail, and I was super excited, per usche (usual) for this one. 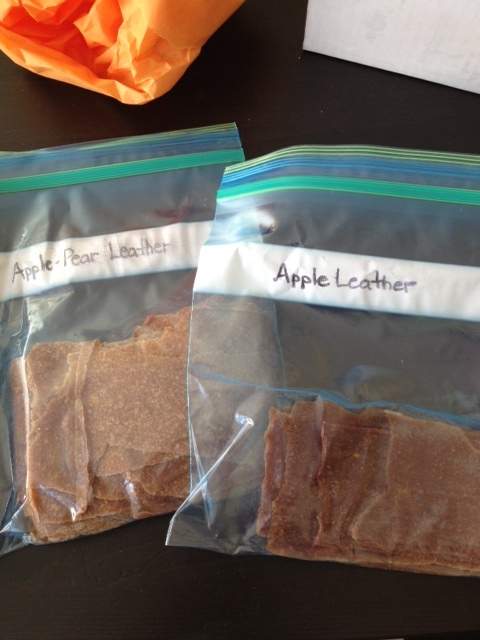 And OMYGOSH some homemade fruit leather!!! (apple and apple-pear). She even included the recipe in her card. Not gonna lie, I ate ALL OF IT within 48 hours, and I actually just bought a bunch of apples yesterday to make a batch tonight! 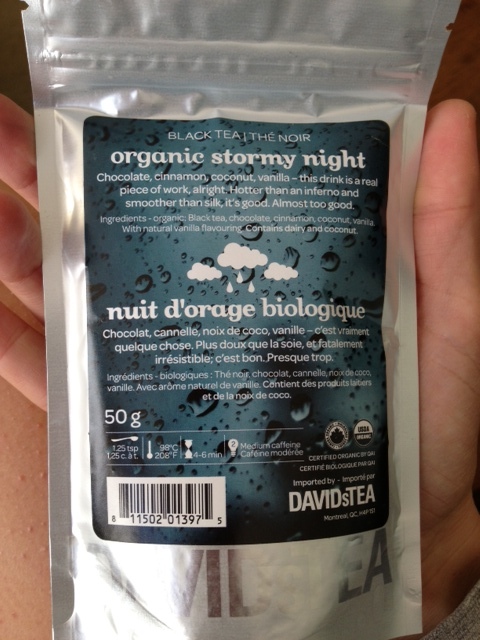 Can’t wait (I hope it turns out half as good as the stuff Nicole sent!!) A HUGE thanks to Nicole for her thoughtfulness in my fpp box this month. Hey all! I’m Ashlee and I’m from Ontario! It’s my third time participating in The Lean Green Bean’s Foodie Penpal exchange and this month I was lucky enough to receive my box from Jen. I started following Jen’s blog the minute we became friends on Twitter and let me just say…her personality shines through her posts. Because of that, I was especially excited this time around to see my box full of surprises! As soon as I started unpacking my goodies, I realized I had tried none of what Jen sent me – BONUS. It’s awesome to get things you like, but it’s even awesomer to get things you’ve never tried. The maple crunch – gone. The almond spice bar – gone. I tried the marshmellows in hot chocolate…bad decision…so I ate the rest solo. 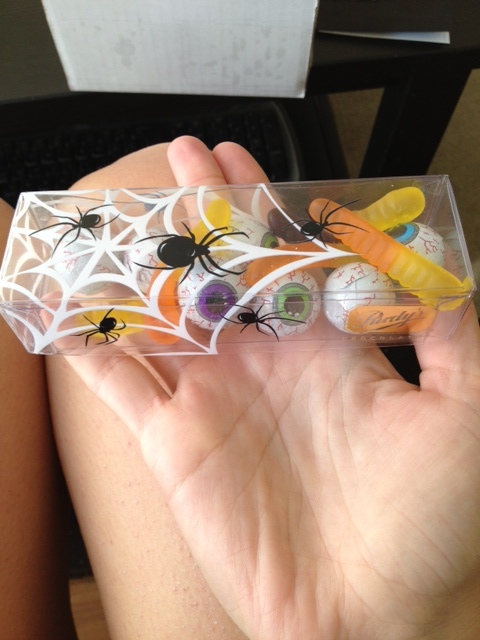 I’m still working on (hoarding) the gummies…sorry roomies. They’re a nice treat after a long day at the office. The only thing I shared was the tea. It was an exceptionally rainy/chilly weekend, so my mom, stepdad, and I curled up on the couch and drank it all. Yum!Thanks so much, Jen, for all of the wonderful goodies! Cheers to another successful month! Anyone have any good food finds lately?